We wait so long for the bluebells to bloom and they are now just starting again this spring. I am sure this will not be my only photograph to feature bluebells so I apologise now! Beautiful!! I've taken about 150 so far and not deleted many!!! They aren't easy to photograph - great shot! @30pics4jackiesdiamond I took several, but none as good as hoped - do not seem to be able to capture the beauty of them. Thank you for the fav. @ziggy77 Thank you - they are all coming out now - the woods are so pretty. Thank you for the fav too. @brett101 @365anne @dawnee Thank you. One of my favourite flowers. @tonygig Thank you Tony and for the fav. @paulaw Thank you Paula. I find them incredibly difficult. I can never capture what I see and do not do them justice. Thank you for the fav. @photobird @fbailey @onewing @bkbinthecity Thank you. I do appreciate your comments. @laurieewilson @radiogirl Thank you both for the favs. I don't think this will be the last bluebell photo of mine this year!! @dmdfday Thank you and for the fav Diane. I took so many photographs that day!! @slash Thank you. 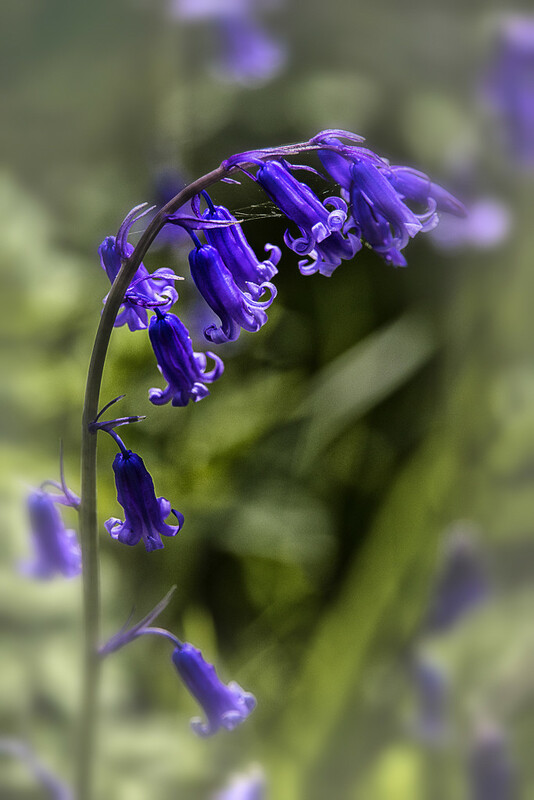 Bluebells are so beautiful but I find them very difficult to photograph! @suesouthwood Thank you! Lots will need deleting!! Thanks for the fav too. @suesouthwood Yours is far better - love the vignetting.